For most of the past decade, I have been either nursing or pregnant. 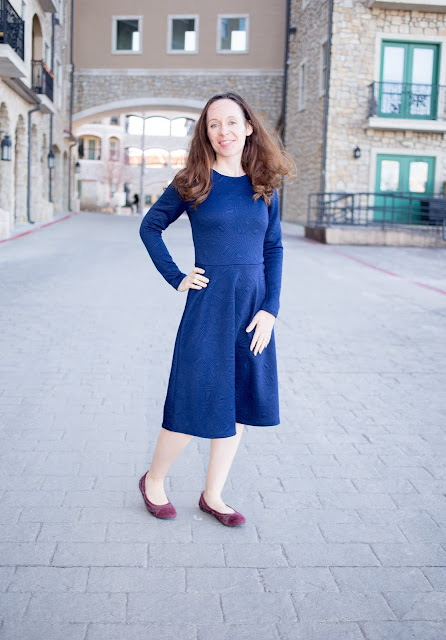 My wardrobe was limited to tops that could easily be pulled up or down for nursing and grew in the midsection for pregnancy. Since I am neither pregnant or nursing and my baby is now 2 and a half, I have been excitedly sewing to fill in the many gaps in my wardrobe. I especially needed some dresses! 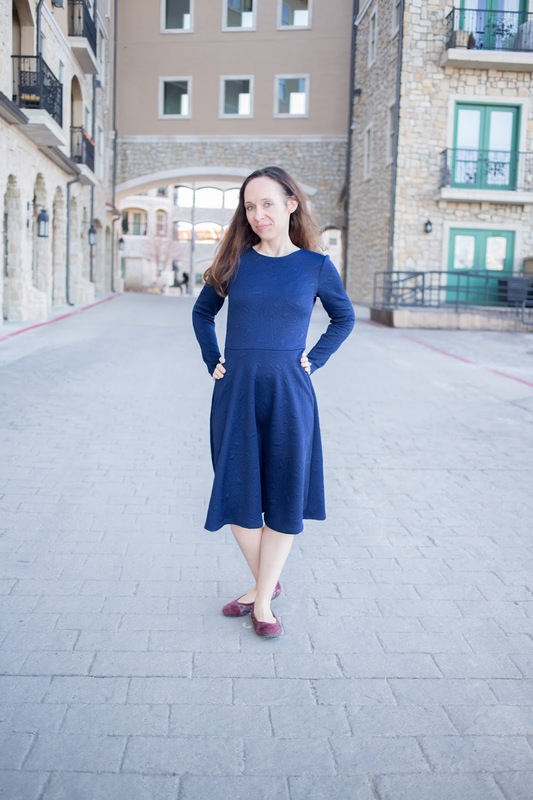 I was SO excited to get the chance to test the Asta dress pattern for Christina Albeck with Wardrobe by Me. Her drafting is excellent, and everything went together so quickly that I had the time to make three different versions. My first version is made out of a Liverpool fabric I found in the Dallas fabric district from one of my favorite shops, Super Textiles. The owner Steve is quite a character, and I love all the fun stuff I find in his shop. 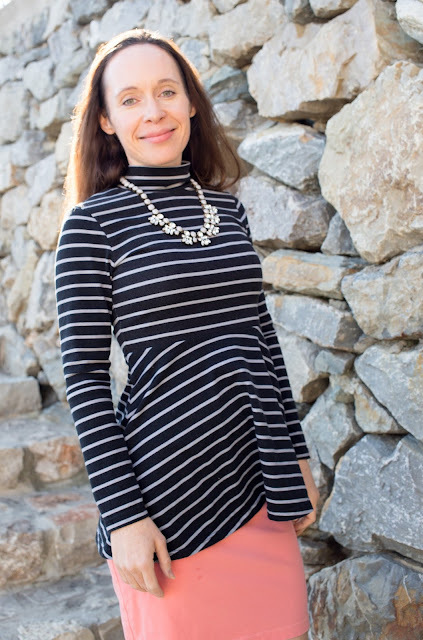 The Asta dress has two neckline options: a boatneck and a turtleneck. I used the turtleneck bodice for this version but ended up not adding the turtleneck because my fabric did not have quite enough stretch for a turtleneck to fit over my head. Whoops! I made a straight size 4. I shortened the bodice an inch and took two and a half inches off the skirt hem to make up for my height (5'2"). My next Asta was made out of a turquoise cotton lycra that I also purchased in the Dallas Fabric District from Wherehouse Fabrics. This is the boatneck version of the Asta dress, and I only shortened the bodice by half an inch. I made this version in a size 4 as well, but for the boatneck to lay properly on my shoulders, I graded to a size 2 above the bust. I also took 2 and a half inches out of the hem for my short legs. 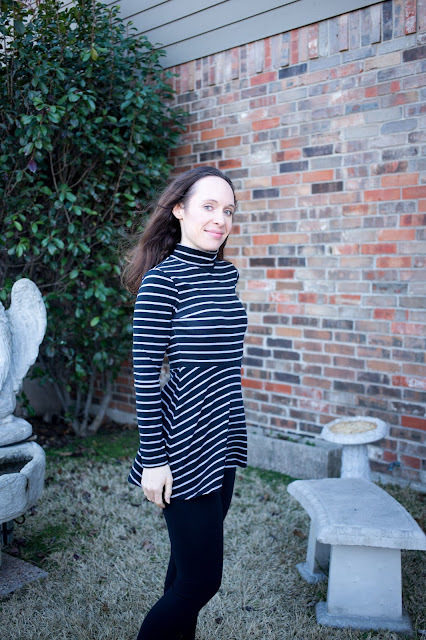 For my final version, I made a turtleneck peplum top out of a cotton/lycra from Made Whimsey. I shortened the bodice this time by almost 3 inches and shortened the skirt to finish at my hips. I love how forgiving peplums are and how dressy they look with a pencil skirt or leggings. The Asta dress is such a wonderful pattern. I am already dreaming of more fun versions of this pattern. I also loved getting to work with Christina. She is a very talented designer, and it is such a breath of fresh air when patterns fit together so easily! The Wardrobe by Me store has many wonderful patterns. 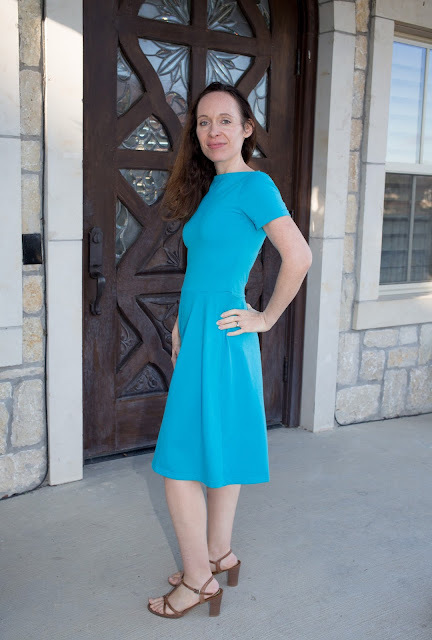 Grab the Asta dress while it is on sale through February 1, 2017, and then, join us in the sew along for the Asta dress in the Wardrobe by Me facebook support group! Photo Credit: My wonderful friend, Aimee Wilson of Capture, Craft, and Cook, who did such an awesome job taking photos! That dress is perfect on you. I bet you will be making more peplum versions.